Select if you want to add Office365 and click Buy Now. 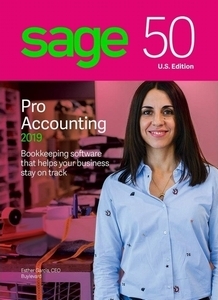 Download Sage 50c Pro Accounting 2019 Now! Make your business more efficient with a time-saving in-depth solution to manage your inventory, invoicing, cash-flow, accounting, taxes, and so much more. Sage 50c seamlessly combines the productivity and power of a trusted desktop solution with secure online access. Sage and Microsoft are partnering to provide the only desktop accounting software with anytime, anywhere cloud access, and seamless integration with Microsoft Office 365 to give small businesses more freedom and flexibility in how they work. Sage 50c with Office 365 now enables our customers to easily manage their core business and accounting needs in one simple solution. Sage Contact �Automated sync of Outlook contacts and Sage 50c contacts means you never have to spend time manually adding contacts from one system to another. Automatic Cloud Back-Up - Get the security and peace of mind knowing your data is back-up in the cloud. Microsoft Office Business Premium � Gain cloud access to all the core Microsoft apps included in the Microsoft Office 365 Business Premium suite including Skype for Business, OneDrive and more. Whether you are just starting out or switching from a manual system, with Sage 50c Pro Accounting it�s quick and easy to set up the books for your business. From the start, you will have a better handle on your money and know where your business stands. More than 80 customizable reports let you make better decisions. Free conversion from QuickBooks® and Quicken®. Use Sage 50c's Business Intelligence Reports to make fast, informed decisions. Sage 50c BI is a business analysis tool that lets you create customized reports using your real-time Sage software data in the familiar platform of Microsoft®Excel®. Payroll solutions are available as an integrated add-on. With Sage 50c Pro you can track hours, calculate employee deductions, stay current with ever-changing tax laws, print paychecks and stubs, generate W-2's, and everything else you need to keep up with your payroll responsibilities. These benefits and more are included with your purchase of Sage 50c Pro Accounting 2019 which comes with an auto-renewing Sage Business Care plan! Save Time. Save Money. Feel Confident. Small business owners play many roles. For most, the role of accountant or bookkeeper is the least favorite roles to play. The best accounting software doesn't just help with bookkeeping � it helps you get organized and simplifies bookkeeping. Sage 50c Pro Accounting does that. It gives you the information you need to make more informed, more financially sound decisions � better decisions. Sage 50c Business Intelligence does that. Save time, money, and run your business better with Sage 50c Pro Accounting. Save time, money, and run your small business better with Sage 50c Pro Accounting. 1 You must have a valid credit card to activate support service. To ensure continuous service, your Sage Business Care plan automatically renews and subsequent years will be automatically billed to the same credit card each year on the anniversary date of your purchase at the then-current rate. You will be notified 30 days in advance of your anniversary date. The credit card provided with this purchase will be used to automatically renew the plan if there is no other credit card number already established as your standard credit card number on file with Sage. You may terminate the plan with at least seven calendar days� notice prior to your renewal date and not be charged for the renewal. 2 Customer support analysts are available from 9 a.m. until 8 p.m. ET Monday-Friday, and reserve the right to limit calls to one hour or one incident. Assistance is limited to Sage 50c solutions.